My husband had been carrying around love letters that his grandparents wrote to one another, moving them from apartment to apartment for about 6 years before deciding that he wanted to go through them all, read them and share them. 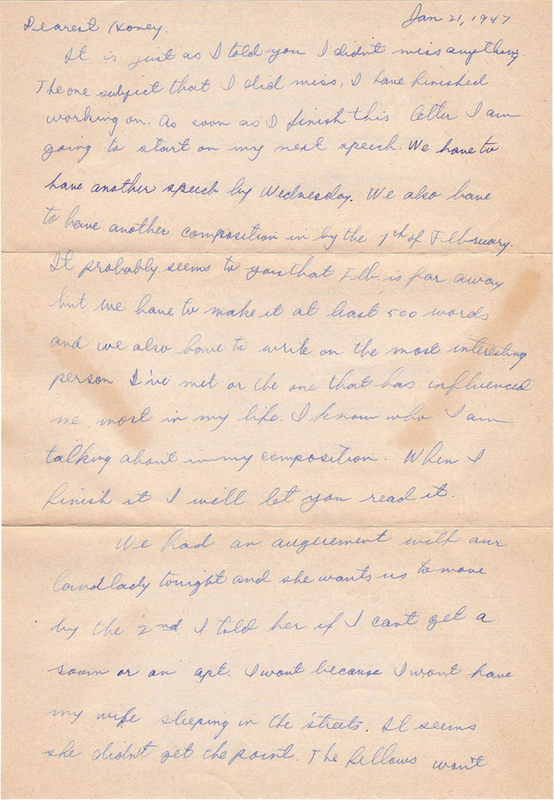 He scanned them in, transcribed all the words after deciphering their handwriting, and created the Leon & Muriel blog. 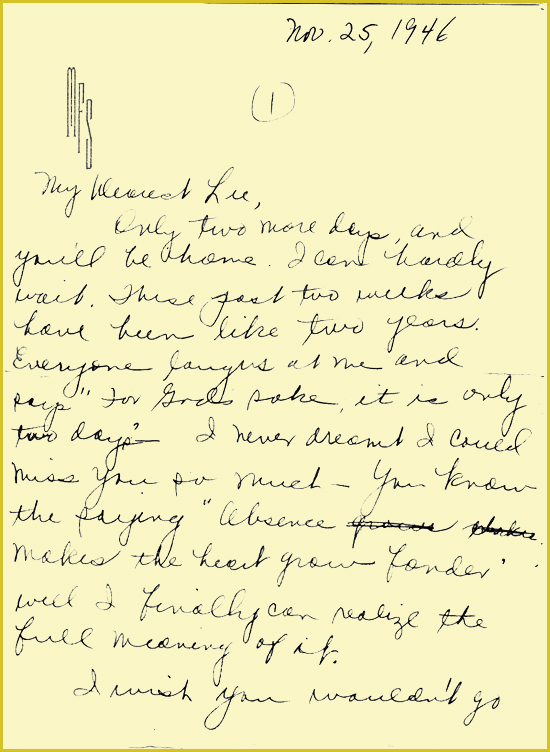 This collection consists of about 100 letters dated November 1946 – February 1947. They were found in his grandmother’s home after she passed away in 2004. 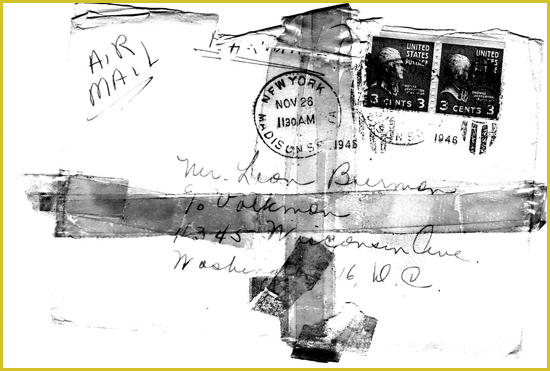 The letters were written before Leon & Muriel married and documented their time spent away from each other while they were engaged. 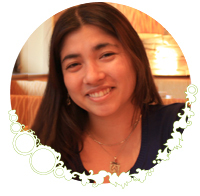 What constitutes a love letter? They wrote about their love in every letter and how they greatly missed each other. But there is also bits of history in them. The rent was $40 a month, $3 for food a day, he went out with the “fellas.” The language is beautiful at times and nostalgic, romantic, angry, hopeful, bitter, and sweet at other times. There were mixed reactions from the family, saying that they were not the same people they were in these love letters. It’s a glimpse of their life and love as they saw it at the time. Love is a complicated thing and I don’t think anyone understands the love between two people but the couple themselves, (if that). Reading these letters makes me think of the love I share, what I want to remember and write down or record, and how I want to more often put my words down on paper. 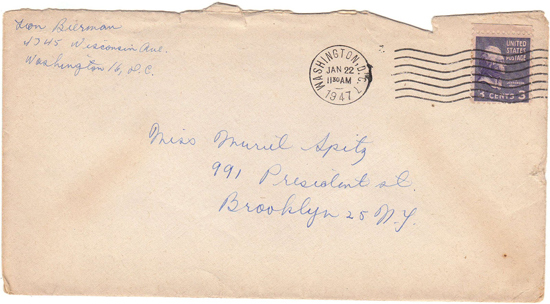 The Leon & Muriel letters stopped when they were no longer apart and got married. Did they continue to tell each other they loved one another every day? Did they continue to call each other “dearest” and “honey” and say “I love you with all my heart?” I hope so. I’ve read a month of them so far. Click here, scroll to the bottom of the list on the left and read along with me. Happy Valentine’s Day!